There are numerous situations that can cause your dog’s eyes to look red and irritated, the most common being conjunctivitis, which is an inflammation of the outermost lining of the eye and/or eyelids. Conjunctivitis happens when the protective tissue that prevents dirt and debris from getting into your dog’s eyes becomes inflamed. While your pet most likely looks as though he hasn’t slept in weeks, with swollen, red eyes, once conjunctivitis is detected, it can be treated quickly with almost immediate improvement. Certain diseases, chemicals, molds, foreign materials, smoke and shampoos can also cause conjunctivitis. Sometimes, problems with your dog’s tear production can also cause this issue. There are many other conditions that may look like conjunctivitis; some of these are easy to fix while others are more serious, requiring extra attention. Consult your veterinarian, who will probe to identify what is troubling your teary-eyed friend. If you think your dog has conjunctivitis, contact your veterinarian who will most likely perform a complete ophthalmic examination, including a few eye-specific tests to confirm the diagnosis of conjunctivitis and exclude more serious conditions. 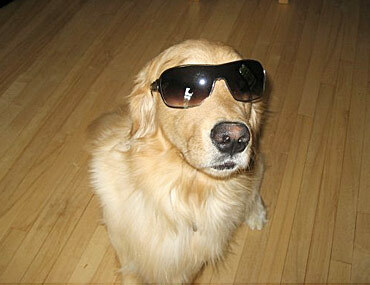 Your veterinarian will advise you regarding the best way to care for your best friend’s eye(s). One of the most common treatments is to apply eye drops or ointment to the affected eye. Having your dog sit still while you apply the medication can be a challenge. For helpful tips, see how an expert applies eye drops to a dog. Because there are so many different causes of conjunctivitis, there is no single preventive method that works for every situation. To help your dog reduce the risk of eye problems, check her eyes daily for any obvious signs of irritation, such as redness or tearing. Most important, contact your veterinarian if you suspect your dog’s eyes look irritated or inflamed!